This blog will chronicle the design of the Living Building at Nuthatch Hollow and provide a forum for feedback on the project. 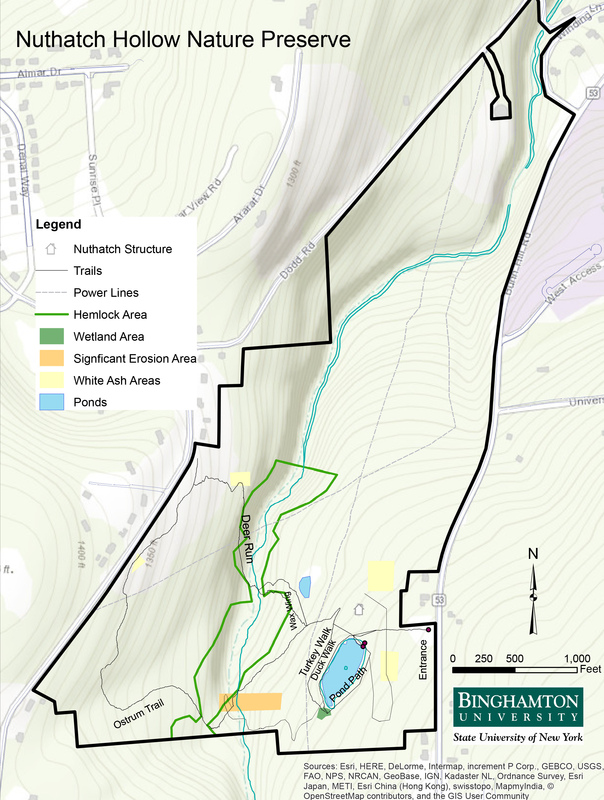 Nuthatch Hollow is an environmental learning and research site near the Binghamton University campus. The Living Building Challenge is one of the most aspirational and rigorous building standards in the world today with only 11 buildings so far achieving full certification. Join us as we embark on this journey. A primary purpose of the Nuthatch property and facility is to provide a place where the Environmental Studies Department can experiment within the natural environment. The building should support this research and educational function. The facility can be a hub for collaboration between multiple disciplines within the University. The building will achieve Living Building Certification. At this time only 11 buildings in the world have achieved full certification. The design process is intended to be highly interactive and engage the broader University community including faculty, staff and students. As such, the design and construction process is as important to the success of this effort as the finished building itself. It is anticipated that the building will incorporate smart energy technology, in collaboration with the Smart Energy TAE and that the Smart Energy TAE will have an ongoing role in developing and monitoring those technologies. The process and the building itself shall be as replicable as possible, whether it be overall building concepts and construction methodologies or individual systems and components. This is particularly important in the context of a public institution for higher learning. Due to the size and nature of the facility, it is anticipated that there will be some building systems and construction methodologies of a residential scale that will help serve as a model for the broader community.